Mitsubishi Hitachi Power Systems (MHPS), supplier of the original gas turbines to the Magnum combined cycle plant in the Netherlands, will investigate the technical feasibility of hydrogen firing in support of the plan to convert one of the three 440 MWe units to run on hydrogen. Known as the Carbon-Free Gas Power project, led by Nuon/Vattenfall, Statoil and Gasunie, the proposal is to carry out the conversion by 2023, if deemed feasible. 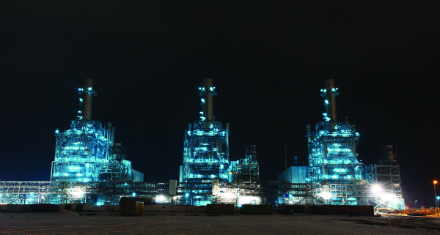 MHPS will build on its experience of running its turbines on fuels such as syngas and blast furnace gas. Statoil will focus on producing hydrogen by converting Norwegian natural gas into hydrogen and carbon dioxide. The carbon dioxide will be stored in underground facilities off the Norwegian coast. Gasunie is carrying out research into how the hydrogen can be transported to and stored at the Magnum power station. The firing test conditions called for a turbine inlet temperature of 1600°C and employed the premix combustor system of the natural-gas-fired J-Series gas turbine. With a hydrogen proportion of 30%, stable combustion was demonstrated while satisfying NOx emissions requirements and avoiding combustion oscillation, etc. In Japan, under the leadership of the Ministry of Economy, Trade and Industry and the Cabinet Office, efforts are underway to develop hydrogen as one of the nation’s core energy vectors. Research and development on hydrogen fuelled gas turbines up to now has focused on small and medium gas turbines for small-scale fossil-fuelled power plants suited to distributed power generation or local cogeneration. The success of the new tests is focusing attention on the use of hydrogen in large scale gas turbines in large plants, and MHPS says it can be seen as a first step towards realising a “CO2-free hydrogen society”, a key national strategy goal established by Japan’s Ministerial Council on Renewable Energy, Hydrogen and Related Issues.